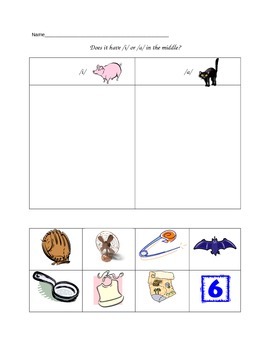 This is a one page worksheet that allows students to sort pictures. They have to decide if the the medial sound is /a/ or /i/. There are a total of 8 pictures that they can cut and paste- bib, pin, six, mitt, map, bat, pan, and fan. You may have them complete with a partner or alone.